One of the leading players in the Azerbaijani banking sector PASHA Bank opens a subsidiary office for PASHA Bank Georgia in Tbilisi on Friday. The office is located on Rustaveli Avenue 15. Head of PASHA Bank Georgia Anar Ismayilov told journalists on Friday that as a financial institution closely related to the development of entrepreneurship, the bank will offer consumers relevant banking services and a wide range of products. "At this stage, the number of the companies, including the Bank's clients, who are working in Georgia, is quite large," he said. PASHA Bank Georgia received a license from the National Bank of Georgia for banking activities in the country on January 17 this year. Its registered capital is 35 million Lari (about $21 million). According to the strategic plan, the bank aims to generate assets to an amount no lower than $60 million during the next one to two years. PASHA Bank Georgia will be represented by one branch in Tbilisi, however, for the foreseeable future, there are plans to expand the bank's network to western Georgia, specifically to the cities of Batumi and Poti. 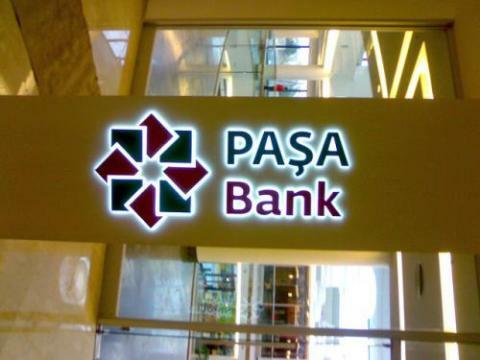 PASHA Bank was established in June 2007. The bank's primary goal is to strengthen leadership in corporate customer service, the improvement of business in priority areas determined by existing strategy, and the creation and continued development of long-term confidential relations. Georgia's banking sector is represented by 20 banks, six of which are foreign ones. At present, three Azerbaijani banks operate in Georgia's banking market: The International Bank of Azerbaijan-Georgia, the Tbilisi Office of Caucasus Development Bank and PASHA Bank.